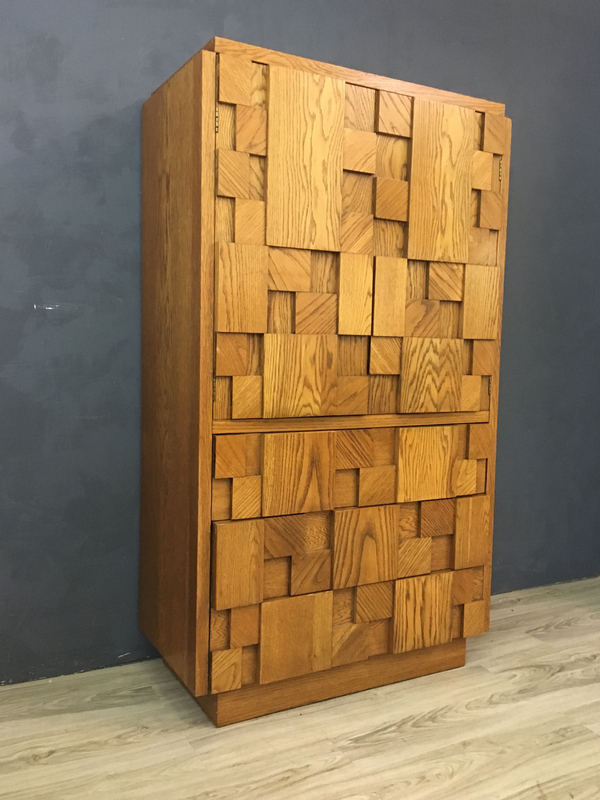 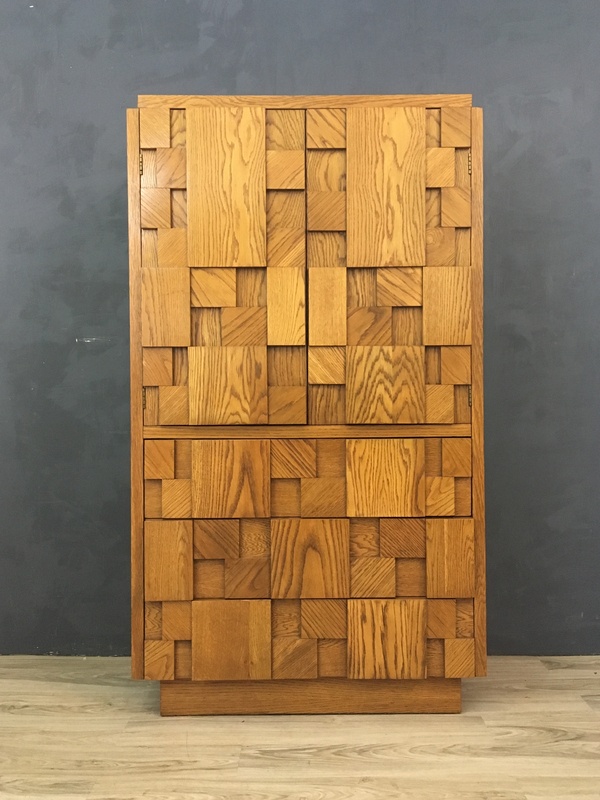 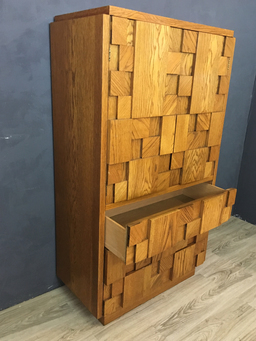 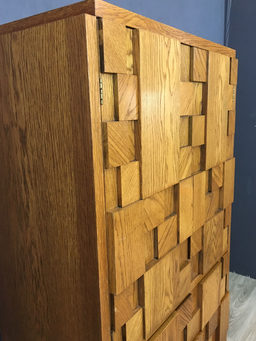 Manufactured in the 1970s by Lane furniture, this dramatic piece in oak features Cubist “mosaic tile” design. Popular in the 1960s and '70s, the “brutalist” style refers to designs in architecture and furniture which projected a sense of strength by way of a rawness, ruggedness and unrefined quality. Two cabinet doors on top open to reveal two interior adjustable shelves and a generously proportioned drawer. 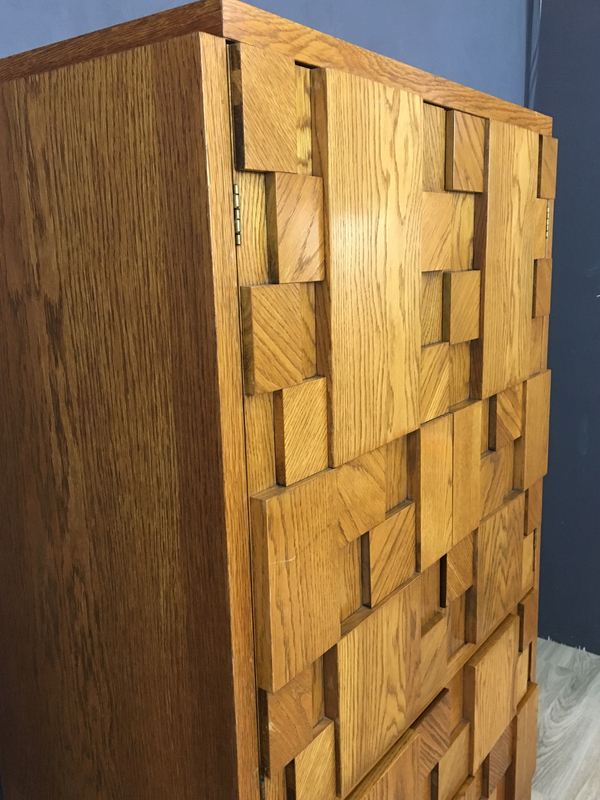 Three drawers below. 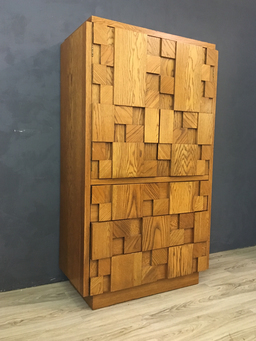 Not only does this piece make a bold statement but it also affords an extraordinary amount of storage. 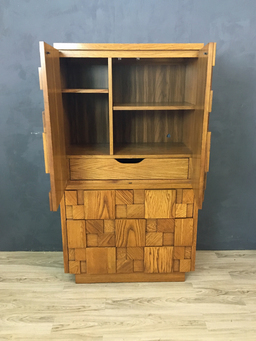 In excellent vintage condition with only minor marks or age and use. 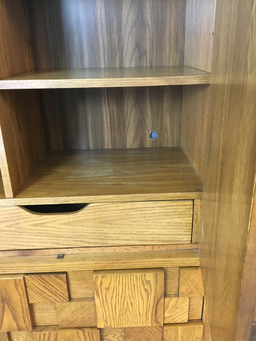 As shown in the photo, a hole has been drilled in the back and there is some deterioration of stain on innner shelves.